This involves setting up original financing mechanisms of a new type which make it possible to obtain development funds in addition to traditional financing from official development assistance (ODA) provided by states or international organisations. In comparison with ODA, which is uncertain, takes time and depends on the countries’ political and economic situation, these mechanisms have the advantage of being more predictable, stable and regular. Their presentation is sometimes linked to the idea of global public goods and they are aimed at correcting part of the negative effects of globalisation. They can be applied to all solidarity actions, but some are exclusively dedicated to the supply of water and sanitation services. Bank loans, micro-credit and donations from non-profit organisations, NGOs, foundations, etc. are significant, useful sources of additional financing, but as they are not new, they are not considered here as innovative financing solutions. 2) Who use this means and since when? Certain innovative financing solutions which have been set up for development actions are dedicated to specific fields such as healthcare (example : the tax on airline tickets, which generates some one hundred millions euros a year in France) or access to water and sanitation services. Other mechanisms are currently seriously contemplated and should emerge soon, once their implementation methods have been approved by the governments. 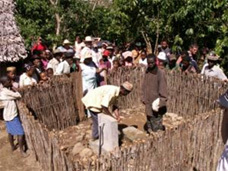 Concerning water and sanitation services, in 2000, the international community undertook to halve, by 2015, the number of persons without access to drinking water and basic sanitation (Millennium Development Goals). Except in certain Asian countries ; these goals will not be achieved due to insufficient financing. The additional funds required to achieve the MDGs for water and sanitation are estimated at nearly €9 billion per year. But the Global ODA for "Water and Sanitation", which only amounted to €3.75 billion in 2011, will not be sufficient to meet that major challenge. The search for new solidarity financing mechanisms is thus indispensable, while it will obviously not replace traditional sources of financing. These innovative financing solutions are aimed at developing countries, in particular the poorest local communities who have little or no access to traditional sources of financing. 5) What does this process involve ? How is it implemented? - "Decentralised cooperation" mechanisms, for which procedures have already been defined and which are operational in certain countries. - Financial transaction tax, the principle of which is supported by numerous states but which is slow to be set up. The principle behind such aid consists in financing projects via a contribution stemming from the revenues of water and sanitation services. In most cases, the financial aid is supplemented by a transfer of skills for training or to increase capacities within the populations concerned. Several European countries have set up such mechanisms, the conditions of which may vary depending on each country’s laws. Thus, in France, the "Oudin-Santini" law authorises local authorities to deduct up to 1% of pre-tax revenues for the financing of solidarity actions for the supply of water and sanitation services. A similar law (Koppejan motion) exists in the Netherlands. The 1% solidarity tax is a concept which is upheld by several international platforms. The funds thus collected are frequently allocated within the scope of a partnership between a community in a developed country and one in a developing country. These partnerships give rise to synergies as well as a fertile exchange of knowledge and expertise which is beneficial for all parties involved. This mechanism has the great advantage of generating significant financial leverage by inciting other organisations (NGO, private foundations, water agencies, etc.) to provide aid, thereby bringing in other, more significant sources of financing. In France it currently amounts to some thirty millions euros a year. Instituting a tax on all financial transactions worldwide is not such a new idea. It was first proposed in 1972 by James Tobin, Nobel prize winner in economics, solely for money-market transactions. It was then broadened to all transactions and presented at the Monterrey Conference in 2002. While it has been approved in principle by several countries, it has not yet been applied. Such a tax, even at a very low rate, would raise significant new financial resources for development policies. It should be used to finance MDGs (Millennium Development Goals), but these are numerous and, according to UN estimates, would require $188 billion a year until 2015, plus some one hundred billion dollars a year until 2020 to offset the effects of climate change. According to Oxfam France, this tax could generate $200 bn to $600 bn, depending on its rate and the criteria adopted. According to the French Ministry of Foreign Affairs, if the tax only applied to transactions on the global foreign exchange markets and was limited to a rate of 5/1,000 euros traded, it would generate around $30 billion a year. It would therefore be a very lucrative tax. - Such funds are considerable and technically fairly easy to collect. - They are less volatile, more stable and more sustainable than ODA. - They would facilitate the achievement of MDGs. - They are accessible to medium-size organisations as an efficient means of financing the development of their programmes. - If the tax is too high, it may weigh down the global economy. - Collecting a tax is of course an efficient measure, but it is probably as important for it to be properly allocated, in advance. The worry is that everyone will try and retrieve the maximum amount from such funds for their own goals, that several countries will be tempted to use part of the tax to offset their deficits or the drop in their ODA, or only use it for certain costly development projects instead of the most pressing needs like water and sanitation services, especially for the most deprived populations. "Carbon Offset" is a financing mechanism whereby a person, or more frequently a company, totally or partially offsets a reduction at source in its own CO2 emissions, to comply with its country’s legal requirements or as a voluntary undertaking, by buying an equivalent quantity of "carbon credits" from a third party. Developing countries are not the biggest emitters of carbon dioxide, but they are the worst hit by the greenhouse effect. To help them, the Kyoto Protocol thought up a fund fed by a tax on carbon dioxide transactions. This carbon trading comes under the Kyoto Protocol’s "Clean Development Mechanisms" and allows western companies to invest in programmes which reduce CO2 emissions in developing countries ; in return, they get a credit for the estimated financial value of the reduction in CO2 emissions. Other, more innovative initiatives are currently under study. Special attention will need to be paid to current studies concerning the taxation of carbon quota transactions. - They make it possible to boost development programmes which have an impact on sustainable development. - They can make it possible to obtain significant, long-term funds for an NGO. - They are a low-cost, forward-looking solution which is beneficial to the planet. - There are various "carbon credit" certification and valuation mechanisms which still lack clarity and uniformity. They are fairly complex, especially for first-time users. - There are several types of certification. The "Gold standard" voluntary compensation seems more attractive as it lightens procedures and reduces their cost, thereby increasing the socio-economic impact of a development programme. - The insufficiently supervised carbon certification and carbon trading market is still fairly opaque. 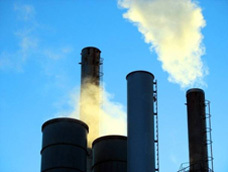 As "carbon traders" are starting to explore developing countries in search of deals, abuses have already been detected. 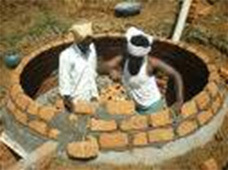 - Since 1997, the GERES NGO, which strives to promote energy savings, has set up major programmes for the production and sale of efficient solar ovens in several African countries and in Cambodia (325,000 ovens sold in 2010, profitability level reached in 3 months, 22% energy savings, 5,000 hectares of forest saved, 11,000 jobs created). The NGO has already obtained carbon credits equivalent to 350,000 tonnes, which enabled it to finance practically all of the programme and extend it. 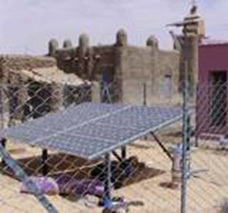 - The Veolia Environnement Foundation financed a major water supply programme in 9 villages of the Timbuktu region of Mali by equipping them all with solar pumping systems. The carbon reduction achieved, and the carbon certificates obtained in return, not only financed the extension of the programme but also made it possible to set up a project dedicated to carbon certification and aimed at boosting Mali’s national capacities in this respect. Other sources of innovative financing or solutions specifically targeting the most deprived exist but are rarer or less significant. These new types of contracts available from the World Bank are described in detail in factsheet B12 : "New Types of Contracts Comprising Social Objectives". These consist in inciting operators to include specific objectives in their programmes to supply water and sanitation services to the most deprived populations (e.g. social connections) and subsidising these programmes, but only in keeping with their performance in achieving the objectives set out in the contract. Definition of Trust : "contract whereby a person (the grantor) temporarily transfers the property of goods or rights to another person (the trustee), who acts in the interest of the grantor or other beneficiaries or transfers the property to a third party after an agreed amount of time, under pre-set conditions". Pointed out by the OECD as a significant means of obtaining more capital, the set-up of Trust Funds, which can benefit municipalities or their operators (and which can be fed by contributions from cooperation partners to help service providers extend their services into the poor districts of cities), has for instance made it possible to gather enough funds (€8 million from KfW in Germany, Danida in Denmark and the EU) to supply water to 120,000 people in suburban districts of Zambia. These guarantees, which are often used in the field of healthcare (e.g. to organise vaccination campaigns), are sometimes also used as guarantees of future purchases (e.g. medication), making it possible to get better prices and more favourable loan terms. A variety of other mechanisms also exist such as the holding of major national lotteries (like in Belgium and Finland), the taxation of bottled water (provision adopted in France, but solely to obtain new tax revenues) or other goods. - Concerning "decentralised cooperation", small municipalities in developed countries have difficulties in setting up or participating in decentralised cooperation operations due to technical and legal complexities. They are thus advised to seek the support of a non-profit organisation or NGO which will be able to manage the project. 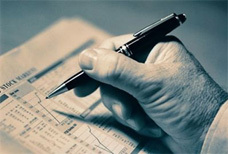 - Concerning financial transaction tax, its adoption should be rolled out on a global scale, or at least on several continents, which implies difficulties in coming to an agreement. Isolated actions on the part of a few countries would be liable to have negative effects on their economy. Indeed, if a country which is currently very active on the markets was to set up such a tax, it may drive away part of the trade to other less-taxed financial centres. This tax must therefore be applied simultaneously by the leading countries or economic unions. - Interview with Mr Alain A. Ndedi, entrepreneurship and strategy expert and author of the book "Financements innovants et développement durable en Afrique". He puts forward a certain number of ideas to find additional financing. - The document "Programme de cuiseurs solaires en Bolivie et compensation carbone". See the tab "Utilisation du mode de certification volontaire Gold standard". Daily Motion : "Découverte. La Bourse carbone", 12-minute video by Radio TV Canada explaining the interest, mechanism and trading of carbon offset certificates.